Our Barlovento oak flooring is a clever combination of our Medium Brushed & Burned Oak and an inviting chestnut brown overtone which reduces the visible contrast between the burned and unburned areas to create a rich yet subtly aged oak floor. Perfect for renovations or to add an instant touch of history to a newly built interior. Barlovento Oak flooring is created from our Cottage grade Oak and features both large and small knots as well as warm natural colour variation. 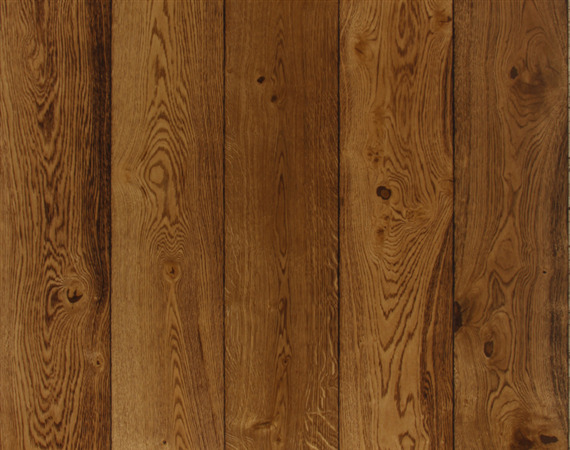 It is available in a choice of traditional solid oak boards and Strata, our all oak engineered boards in a choice of widths to 300mm and generous long lengths. 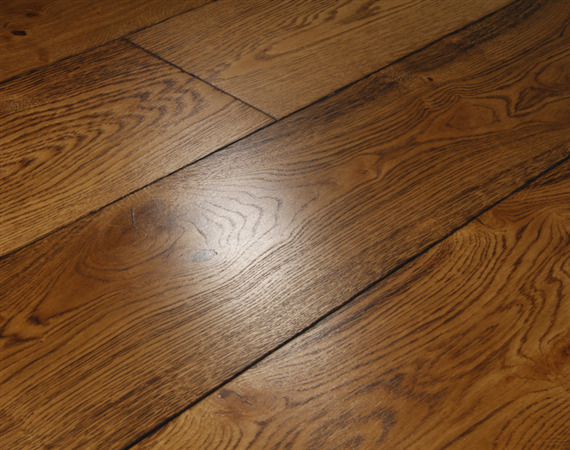 Finished with our matt satin hardwax oil, UV cured for extra durability, Barlovento oak flooring requires no further finishing after installation and is hard wearing and easy to look after.